The Ebola outbreak in the Democratic Republic of Congo has spread to a city surrounded by rebels, creating challenges responders were "dreading," the World Health Organization said Friday. One probable case and one suspected case have emerged in the city of Oicha in DRC's North Kivu province, WHO's emergency response chief, Peter Salama, told reporters. While Oicha itself is not under rebel control, Salama said the city is entirely surrounded by territory held by a feared Ugandan insurgent group known as the Allied Democratic Forces (ADF). "For the first time we have a confirmed case...in an area with high insecurity," Salama said. "It really was the problem we were anticipating and the problem at the same time we were dreading." Large numbers of civilians have been killed by unrest around Oicha, while aid workers, priests and government employers are currently being held hostage there by insurgents, according to Salama. The outbreak, the 10th to hit DRC since 1976, began on August 1 in the North Kivu town of Mangina. The virus has killed 63 people so far -- out of 103 confirmed or probable cases -- but Salama warned health workers were expecting "at least one additional wave of cases." The Oicha cases have made containing the virus more difficult. "We are going to have to operate in some very complex environments," Salama said. UN teams are only allowed to travel to Oicha with armed escorts. If the number of patients, or contacts of patients, in the city surges, the logistical hurdles and costs will mount. 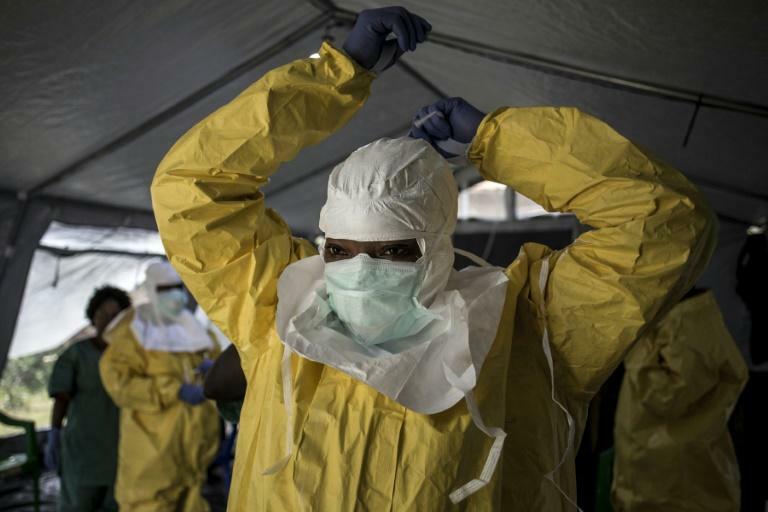 After its widely-criticised handling of the 2013-2016 West Africa Ebola epidemic that killed 11,300 people, WHO pledged to revamp its response systems. The UN agency was widely praised for quickly containing an outbreak in DRC's northern Equateur province earlier this year, but said from the outset that restive North Kivu in the east of the country posed additional challenges. "We are at quite a pivotal moment in this outbreak," Salama said. "We are truly at the crossroads."